A wine collection may seem like an odd thing to fantasize about, but many of us do. We visualize ourselves to be English lords, living in an ivy-covered country estate surrounded by a retinue of faithful retainers. Of course the basement houses a formidable wine collection. As the dinner hour approaches and guests assemble in the drawing room, we dispatch one of those retainers down a flight of rickety stairs to fetch the evening’s wines: a mature white Burgundy, a perfectly aged claret to pair with our well-hung grouse, perhaps a Sauternes for the cheese course and a vintage Port for dessert. Back here on planet Earth, there are wealthy individuals who attempt to create a modern version of this scenario, with varying degrees of success. We’re going to look at the pitfalls and rewards of having your own wine collection, explore the why and how of wine storage, and hopefully help you determine if this endeavor is for you. where to start on a wine collection? The first thing you need to do is ask yourself the crucial question: do I like the taste of older wine? The answer may not be as obvious as it first seems. Despite all the technology of the modern era, most of us are drinking the wine of the current vintage. This practice has become so widespread that it’s unusual to find a bottle more than two years old in a retail store. Among the American collector class, there’s an almost universal fascination with Cabernet Sauvignon and red blends. What all this means, in practice, is that the typical American drinker has become habituated to a wine that is full-bodied, concentrated and powerful, with copious amounts of new oak, tannin and forward fruit. A well-aged wine is likely to be the opposite. The fruit and tannins have faded, and earthy elements---what wine geeks call terroir---have come to the forefront. It’s very possible that you may not care for this style of wine at all. Compared to last year’s Cabernet, the flavors may seem weak and unsatisfying. Before you invest time, energy and resources in assembling a wine collection, try to determine if the taste of older wine suits your palate. If you have friends with wine cellars, they’ll probably be happy to show off and share their treasures; if you find yourself in a restaurant with a great wine list, go ahead and spurge. Do all of this before you start chasing rainbows. There could be a pot of gold at the end of this rainbow, but it also might contain gold you have deposited yourself. Assuming you’ve determined that you do like the taste of older wine, and that you believe the process of aging your own wine collection is worth the time and expense, where should you focus your efforts? Understand that most of the wine made is designed to be consumed within a year or two of bottling. A very small amount (far less than 5%, globally) is going to improve with age under the right conditions. The best candidates have traditionally been classified red Bordeaux and Sauternes, as well as Premier and Grand Cru Burgundy. But even within those categories, there are winners and losers. 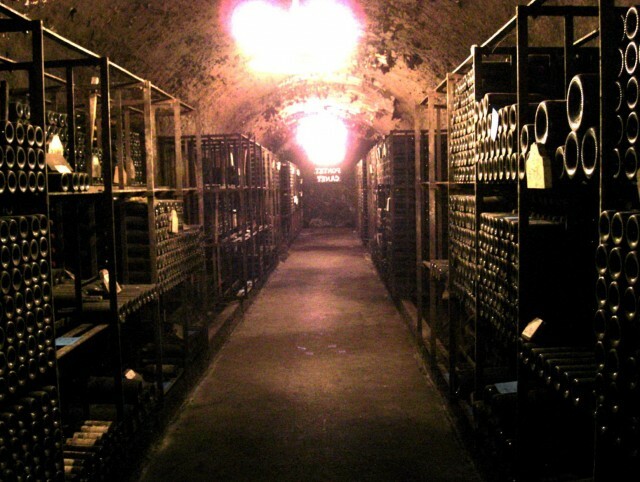 Most collectors need to do a large amount of research to determine promising candidates for cellaring. In the beginning, the best advice is to read everything you can get your hands on, and examine the entire range of critical opinion on the wine you’re considering laying down. If you’re going to invest in Burgundy, for example, subscribe to Tanzer and Burghound, and scour the web for consumer feedback on the wines you want to buy. Form a tasting group, and try as much wine as you can. Over time, you’ll develop a stable of favorite producers. One of the most common questions asked by consumers starting a wine collection concerns the importance of vintage. If you’re wondering whether a specific year was a “good vintage,” you need to go back to the drawing board and do some homework. A good vintage in one part of the world doesn’t guarantee success elsewhere. A good vintage in Bordeaux isn’t necessarily a good vintage in Burgundy. Narrowing it further, a fine vintage in the Médoc is not necessarily successful in Pomerol. To make matters worse, a wine estate in one spot may have perfect conditions for a great harvest, but a neighbor five miles away could easily have suffered frost, hail or excessive rain. This is where your stable of favorite producers looms large. Over time, you’ll come to realize that good producers tend to make interesting wine even in vintages regarded by critics as poor. Often the wines made by quality vintners in an “off” year will be worth buying, and they’ll be bargains as well. Do I recommend cellaring California Cabernet? I can’t give you a definitive answer, but I can convey my personal experience: many of the more commercial wines, even at the higher end of the price spectrum, haven’t improved over time for me. Yes, there are small, rarified producers (the so-called “cult” wines) that may be better with age, but they frequently haven’t been around long enough to establish a pattern. In Napa, more so than elsewhere, you’re rolling the dice. Expensive isn’t necessarily better, but there’s not much point in devoting cellar space to wines with a retail price under $25. Those wines won’t be any better ten years from now. The most valuable advice I can give you is to be wary of your initial enthusiasms. The bottles you admire at the beginning of your wine drinking days won’t be the same ones you cherish later on, so proceed slowly and cautiously. The ideal conditions for a wine collection are 55-60 degrees Fahrenheit, 60% humidity, and absence of light and vibration. Wine stored this way will evolve at a slow and natural pace. If you live in the right climate zone, you may be lucky enough to have part of your house that displays these conditions almost year-round. A good example is Glamis Castle in Scotland, best known as the setting for Macbeth. Supervised by nature, storage there was so perfect that magnums of 1870 Lafite Rothschild were found to be in pristine condition more than a century later, when they were offered at auction. Humidity is just as important as temperature. Without the requisite level of humidity, corks will dry out over time and begin to shrink. As they do so, more and more air will get into the bottle, and the wine will eventually oxidize. Stashing your wine collection in an air-conditioned room (or in a refrigerator) simply isn’t enough. If you’re not fortunate enough to own a castle in Scotland, you’ll have to figure out a workable solution. American wine lovers who live in northern climates have an advantage, as the basement area of their house may have conditions close to the desired ideal; with a few tweaks to the space, they can be ready to begin buying and cellaring. Here in Florida, where I live, the weather challenges are significant. If you live in a climate where conditions aren’t favorable, you have three options: convert part of your residence into a wine cellar, buy a ready-made storage unit, or find commercial storage off-site. We’ll explore all three alternatives. Build Your Own: Take a close look at your home and see if you have any wasted space. If you live in a house, there’s likely to be a room or closet devoted to holding junk that has accumulated over years or decades. 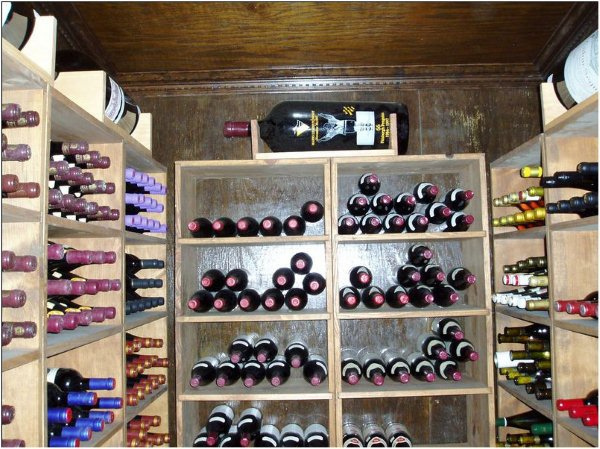 Converting that space into storage for a wine collection is remarkably easy. The best book on the subject that I’m aware of is How and Why to Build a Wine Cellar, by Richard M. Gold, Ph.D., now in its fourth edition. He walks you through the process clearly and simply. 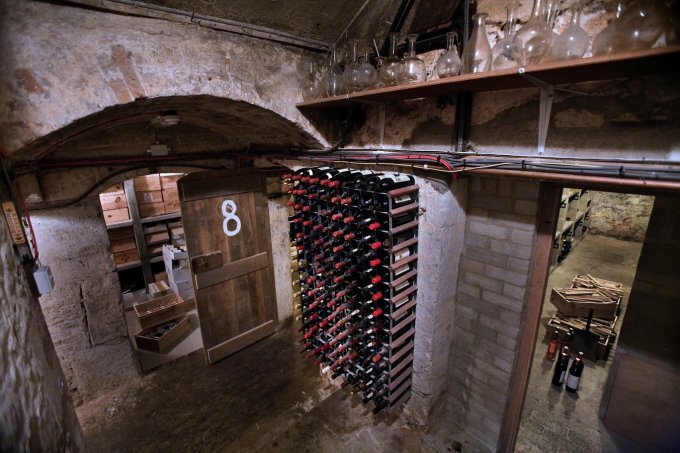 Remember this: the wine cellar doesn’t need to be expensive. If you’re only going to use it for storing your wine collection, and not for entertaining, it can be built very cheaply. Sure, it’s nice to have etched glass doors, custom-made redwood racking and granite-topped tasting tables. But if all you want to do is age wine in the right conditions, none of that is necessary. Buy A Ready-Made Storage Unit: This is the default position for many collectors, and one that I used for years. Options start with a 16-bottle unit that will fit under your kitchen counter, and extend to gorgeous pieces of furniture that hold many hundreds of bottles and cost more than $10,000. Almost all of them are both temperature and humidity-controlled. There are models with elaborate racking options, dual temperature zones for white and reds, and combination cellar/humidor units. Your choice will depend on your budget as much as your collecting style (a subject we’ll get to in a moment). I used to have a large display unit in the living room that held 400+ bottles, a less attractive one in the garage with capacity for 275, and I rented off-site storage as well. With pre-built cellar units, one factor that affects cost is that people are almost always going to see it. Unlike the converted closet, a wine unit will form part of the décor of your home, and this factor may drive up the price. Commercial Storage: Over the past few decades, this has morphed into a cottage industry for people without a home cellar to store their wine collection. The concept started in large cities, where few people had the space for wine storage, and it has now spread around the country. As with ready-made wine units, there are usually two options. There are elaborate places with all the bells and whistles (those etched glass doors and granite-topped tasting tables), where you may both store your wine collection and entertain friends while you drink it. The majority of commercial storage facilities are warehouses with perfect conditions and few amenities. You get a locker and a key, and pay a monthly fee. The latter version is preferable for most people. Whichever one you choose, make sure that the building has backup generators in case of a power failure caused by a hurricane or other disasters. Also, verify the hours when you’ll be able to visit and collect your wine. Those visits may take some planning to co-ordinate with your entertaining schedule, but overall this is a very good option. The short answer is: more than you think. Once you start your wine collection, it can easily become an obsessive activity. This is true with wine as well as other commodities such as stamps, coins, or buttons. The more you have, the more you want. Unlike stamps or buttons, however, wine is made to be consumed. You can easily keep your coin collection intact without having it deteriorate, but you won’t be so lucky with wine. Don’t fall into the trap of wanting to retain a certain quantity of a specific wine (one case, six bottles, etc. ), and end up keeping it until it spoils. This has happened to many collectors, including me, and it will probably happen to you sooner or later. Let’s take a hypothetical situation where your household is consuming one bottle of wine per day, or 30 cases per year. For the first few years at least, you’ll be buying those 30 cases for everyday drinking while you purchase wine designed to be consumed in 2, 5, 8 and 10-year time lags. Regardless of what you think when you start, storage space for 300-400 bottles will only begin to cover your needs. 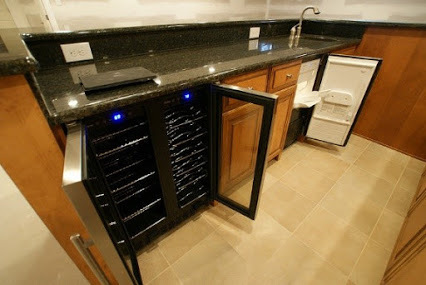 Probably the best solution in that situation is to maintain space in off-site, commercial storage, where you can stash the cases and be free of the temptation to “try them and see how they’re doing.” You can store the everyday wine in your house and not worry about it, since it will disappear quickly. Remember this: the further you go with your wine collection as a hobby, the broader your interests tend to become, and the more wine you tend to buy. should I buy for investment? Most purists would say no. 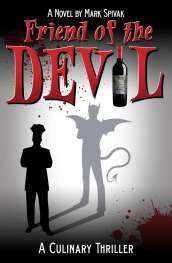 They would tell you that wine is meant to be consumed, not kept as a long-term financial bet. If you’re an average consumer, the reality is that you probably don’t know enough about the subject to invest sensibly in it. At the same time, it’s a fact that Bordeaux First Growths have outperformed every stock index on the planet for some time now, so the prospect of investment is tempting. When I was in the wine business, I worked for the second-largest importer of Bordeaux wine into the U.S. at that time. I naturally had the opportunity to buy a lot of wine at wholesale prices, and I did. I cellared it and had no intention of reselling it. One day, I realized that classified Bordeaux I had purchased from vintages such as 1986, 1989 and 1990 was suddenly worth three, four or five times what I originally paid for it. I eventually succumbed to the temptation to sell most of it, but the profits were accidental. If you want to pursue wine as an investment, your research needs to be exhaustive. You also need inside information. Restrict yourself to the upper limit of the blue chips---First Growth Bordeaux, Grand Cru Burgundy, Harlan or Screaming Eagle---and keep the wine in the original wooden cases. Keep bills of sale, and make sure your storage conditions are pristine. Finally, keep your fingers crossed that it goes up in value rather than down. Collecting wine is an expensive hobby, and a consuming one. The frustrations can easily exceed the rewards, but the rewards are sweet when you’re able to collect them. If you do everything right, you end up with the type of wine that you like, in the condition you want it, perfectly mature and within reach. And that’s not a bad thing. What are your personal experiences with wine storage? 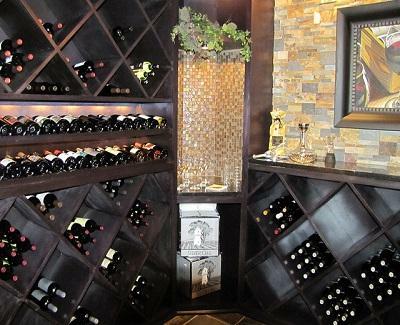 Do you have a wine cellar at home? Share your comments and insights with the community!